ABANA is pleased to be an official partner of the 8th Annual Wharton Middle East and North Africa Conference scheduled for Saturday, April 6, 2019, at the Sofitel in Center City, Philadelphia. The Middle East and North Africa is undergoing a period of transformation, leading to a new economic and societal model for the region. In an interconnected and economically integrated world, technology and data are driving sustainable growth and diversification away from traditional industries. 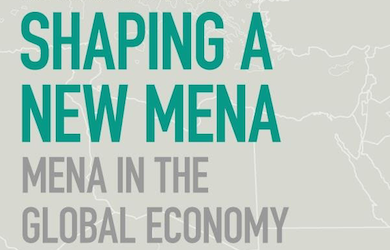 In this context, the Wharton Middle East and North Africa Club is pleased to announce the 8th annual Wharton Middle East and North Africa Conference, Shaping a New MENA: MENA in the Global Economy. The conference will host a prominent list of speakers and panelists who have strong ties to the region, which includes Joe Saddi, Senior Executive Advisor and Former Chairman at Strategy&, Faraz Khalid, CEO of Noon, Hani Enaya, Partner at Saudi Technology Ventures (STV), Henri Asseily, Managing Director of Leap Ventures, and many more. For more details about the conference, please visit our website. To register for the conference, purchase your EARLY BIRD ticket here.